ACC Brokers | Taking the mystery out of Insurance. 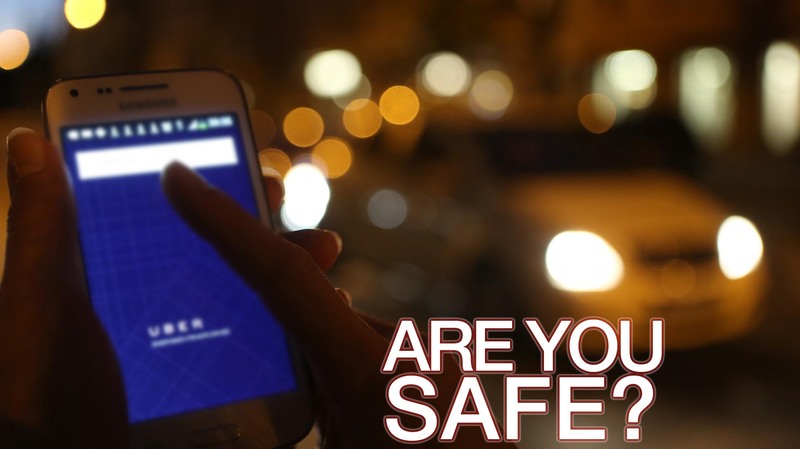 Does the public consider Uber safe? In this day and age, the shared economy model has gotten more and more traction. Taxi alternative “Uber” has been in the fore front of the disruptive business models. With new concept of transportation many questions and concerns have developed, safety being one of the main focused issues. In California alone Uber has been target of more than a dozen lawsuits for stating that they are safer than regular Taxi companies. We will like to know your opinion in this weeks poll. You can also leave a comment telling us about your experience. The proposal on updating the data breach laws follow a year of incidents on big retailers like Home Depot, Staples and Target. Hit by cyber-thieves this companies had their costumer card payment data stolen. Obama is currently proposing the following updates to the Privacy and Data Breach law. One will require companies to let customers know within 30 days if their personal information went astray in a data breach. Another will attempt to give people more control over what can be done with the data companies gather about them. The third law would ban educational software makers from selling data they collect from students. To become US law, the proposal must get through the US Congress. Currently, different states have different disclosure regimes, many of which are more than 10 years old. On data privacy, Mr Obama is believed to want to resurrect a “consumer privacy bill of rights” that was first proposed in 2012 and which would ensure consumers are consulted before data gathered from their online activity is analyzed or sold. Exact details of the proposals will come to light during a speech Mr Obama is due to make at the US Federal Trade Commission on 12 January. The speech will act as a preview of the State of the Union speech Mr Obama is scheduled to give on 20 January. There are a lot of moving parts to a startup business. While all businesses need some amount of insurance protection, technology startups have some special needs. 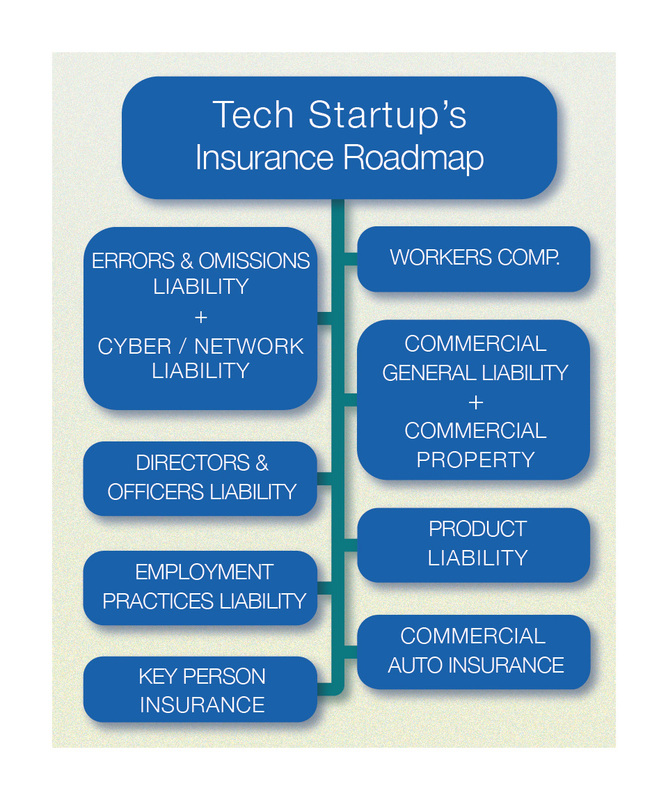 Here is a roadmap of insurance coverage that businesses can use to make sure they minimize their risk and liability. This is a form of liability insurance that helps protect – professional advice and service – providing individuals and companies from bearing the full cost of defending against a negligence claim made by a client, and certain damages awarded in such a civil lawsuit. The coverage focuses on alleged failure to perform on the part of, financial loss caused by, an error or omission in the service or product sold by the policyholder. These are potential causes for legal action that would not be covered by a General Liability Insurance Policy which addresses more direct forms of harm. Cyber/Network Liability can usually be added to an E&O Policy to protect your exposure of a network going down or private information leaking and causing financial damage. You can find out more details for Cyber/Network Liability here. Get it when: Business goes beta/live, releasing software or app or a client contract requires the proof of coverage. Protects employer in case of bodily injury to employees if they get hurt on the job. The injury must happen in the course of or arising out of employment to be considered a Workers’ Compensation claim. Get it when: Once the first employee is hired whether full time or part time. Founders/owners have the option to exempt from purchasing Workers Compensation insurance for themselves. Commercial General Liability covers bodily injury or property damage cause to a 3rd party. Commercial Property coverage protects a business’s own business property within the office. This policy can also cover the loss of use of the premises in the event of a covered loss such as a fire. Get it when: When you start a business but at minimum when office space is leased or when this insurance is required by contract. Directors and Officers provides coverage for a loss as a result of a legal action (whether criminal, civil, or administrative) brought for alleged wrongful acts in their capacity as directors and officers of the company. Important to carry this coverage on these two situations: first, high-profile potential board members will most likely require this; second, if you are getting financing or angel funding, your exposure to claims increases. Get it when: Start a new company, but at minimum once you have investors or angel funding or are required by contract. Protect your organizations against employee suits for discrimination, wrongful termination, sexual harassment, failure to hire, etc. Get it when: You have 4 employees or more. Get it when: Company starts making a profit, have investors or want to sustain continuation of the company in case of a founders death. Can be required by investors. Additional Coverage to consider after Start-up. Umbrella Liability – Provides excess coverage over your other policies. Employee Fidelity and Employee Benefits Liabilityx– Provides coverage for embezzlement or other stealing of money by an employee, and for mistakes in administering an employee benefit. Foreign Liability – Travel outside of the US by employees presents exposures not covered by your standard liability policies such as automobile liability if renting a car, general liability for rooms and or exhibit space you may rent. Covers injury to employees and expense to return them to the US for treatment if necessary. Business Interruption – (if you have revenues)- Limit chosen should be in the amount of annual revenues less variable cost. Auto Liability Insurance – In a package with other coverage, or separately, you will need coverage for owned autos, and business use of employees autos (non-owned autos) and autos your rent (hired auto). Patent Infringement Liability – Is your product patented or do you use patented parts or ingredients? If so you may be a target for a patent infringement suit from a competitor. Coverage may be styled to defend against other parties alleging an infringement or an enforcement policy to stop infringement or both. At ACC Brokers, we are eager to work with new startup prospects and tailor a roadmap that fits your specific needs. Contact us for more info. One of the consequences of progress in technology is creating new cyber risk such as the new trend of BOYD (Bring Your Own Device) in the business environment. Surveys show 61% of companies have employees using personal devices, 51% of employees said if they were not allowed to use devices, they would use them anyways. * On the plus side using personal devices may increase productivity because employees use the tools they are used to and like. There is simply no way to ignore the trend of BYOD. However, 33% of companies that allow devices do nothing to control them. Companies must acknowledge that devices will be used whether they like it or not and proactively manage the related cyber risk. 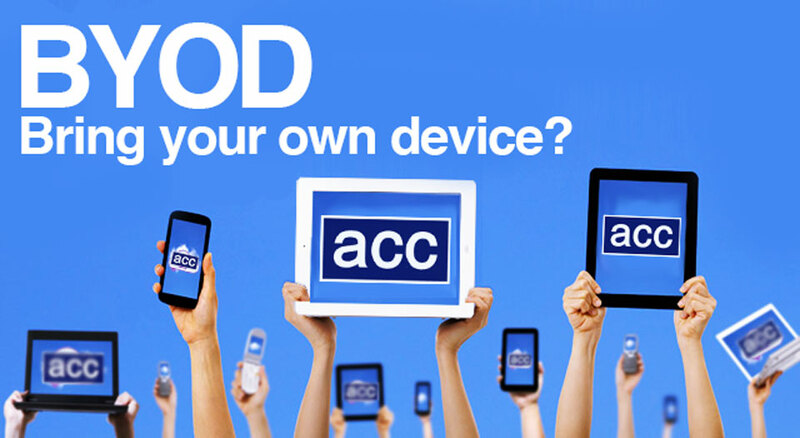 BYOD creates a privacy security breach risk. There will likely be confidential information on the device that if lost or stolen that information can also be stolen. Also the device may have an access portal to the corporate system with login and passwords. This opens the possibility that an unauthorized person can access the system and steal private and confidential information or make cyber threats. 1) Have a way for employees to share information in a protected environment. There are a number of mobile device management systems that can deal with this. Using Dropbox or icloud is not secure method. 2) Make sure that employees’ personal devices are password protected. 3) Have the ability to remotely wipe a device. 4) Have a written corporate policy the employees agree to. Car Insurance is one of the necessary evils of modern life. In Florida, as in most states, auto insurance is required by law. With insurance companies spending more than $4 Billion a year in advertising to grab your attention, it is important we take an indepth look on the details of Auto Insurance. So, how to buy Auto Insurance? A simple way to get a free quote is our website www.quicknsure.com were you can easily fill out your own Auto Insurance Application. This will let you see in detail the coverage plans and discounts you are getting. BI-PD (Body Injury and Property Damage): Limits need to be equal or higher than the minimum financial responsibility limits. UM (Uninsured Motorist coverage): This coverage applies to you, your resident relatives and passengers in your covered vehicle. It only applies if it is determined that the other driver is at-fault and has insufficient or no liability coverage. PIP (Personal Injury Protection coverage): This is also known as No-Fault coverage, it provides coverage whether or not the Insured caused an accident. Not only does it cover you, your kids or relatives living in your home while in your car, it also protects you while a pedestrian or bicyclist. COMP (Comprehensive coverage): This covers losses to the insured vehicle for reasons other than collision. This includes, fire, vandalism, wind, hail, breakage of glass, or impact with an animal. COLL (Collision coverage): This will protect you on the event of a collision covering your cars damage. This may be purchased with deductibles from $100 and up. We will expand on each coverage, there limits and benefits in future posts.